OH, WHAT SHOULD I WEAR … ? This is probably the number one question we get asked before a photo shoot. It can be pretty confusing and stressful trying to decide what outfits would be best for your photography session … but worry not! I am hopeful this post will help you with styling tips and tricks to select clothing options for a perfect outcome on photo day. 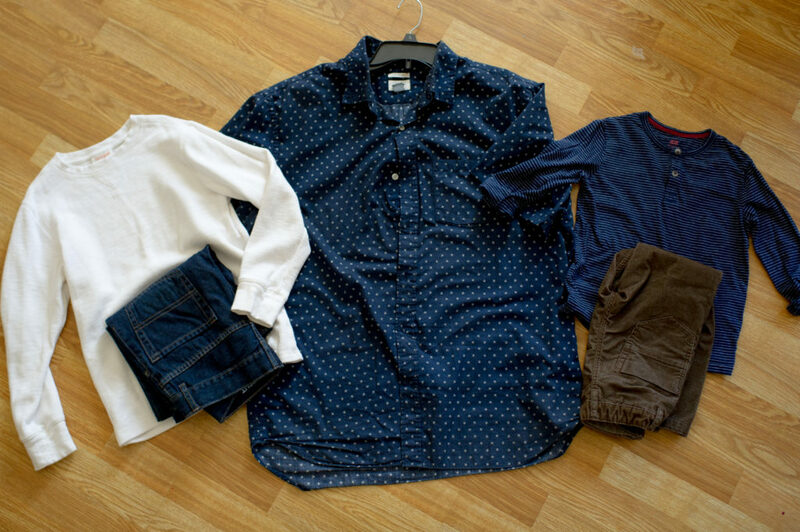 Here is how I selected my family’s fall wardrobe. I usually suggest to my clients that they start with mom’s outfit. As the saying goes, “If Mama ain’t happy, ain’t nobody happy!” Pick your dress or clothing first. Dresses usually have a pattern and a built in color palette you can build everyone else off of. However, if you don’t want to start with yourself, start with inspiration piece. 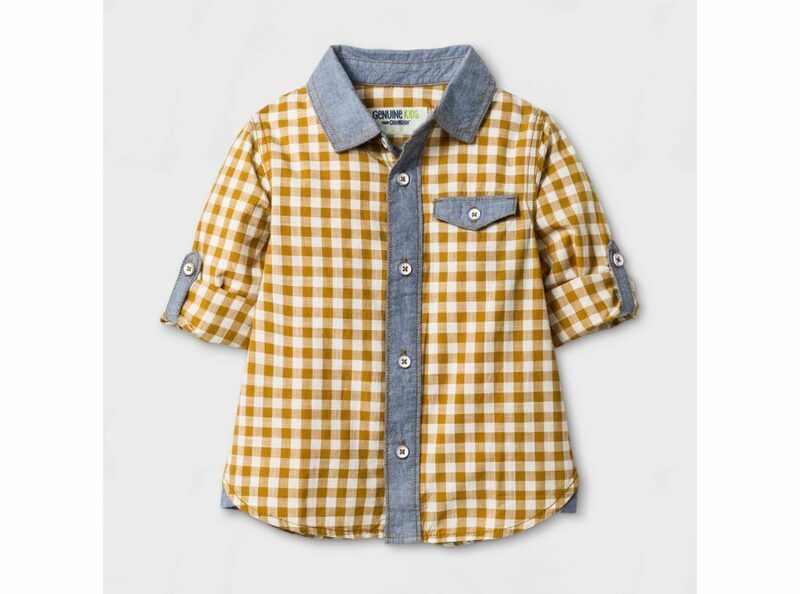 In this case, I saw an image on a children’s clothing website and fell in love. Can you blame me? If you are interested in scooping one up, check out Bailey’s Blossoms. After you have your starting point, pick your color palette. I prefer 3 or more colors. If you only choose two colors, it is very hard not to look matchy matchy. 3+ colors gives you the opportunity to wear different pieces, include texture and pattern, have a pleasing color palette. Here is our color palette. There are many times I can pull together our family wardrobe almost entirely. It is amazing how much you forget that you have hiding in there (especially when you have 4 kids!). These are the pieces we already had. The dark blue striped shirt and brown corduroy pants are from H&M. The waffle knit cream shirt is Cat & Jack from Target. The dark jeans are Children’s Place. My husband’s dark blue with print button down is probably from Target or Marshall’s years ago. But if it works, it works! I noticed we already had a lot of dark blues. What I needed to add was more mustards/yellow and some cream. Next step…. Online or in person, I find it helps to have all of your other pieces with you. I am a visual person so I like to see how it all looks together. I don’t have much time to go to stores, therefore I do a majority of my searching online. Now if you don’t have time to wait for delivery, than off to the retail stores you must go! Maximize your time. Hit up malls where they have many stores in one location. I like Katy Mills because it is close to me and I can usually find good deals there. First I need to find something to put with the long skirt. I tried a chambray shirt and I just didn’t like the look of it. I wanted her to be able to wear something tucked in (that wouldn’t come out during the session). I thought about a leotard. I found this cream one with sleeves on etsy. Now to make mama happy. I wanted something long, flowy and romantic. I also do cannot personally wear low plunging necklines, which made some dresses I was in LOVE with not practical for me. 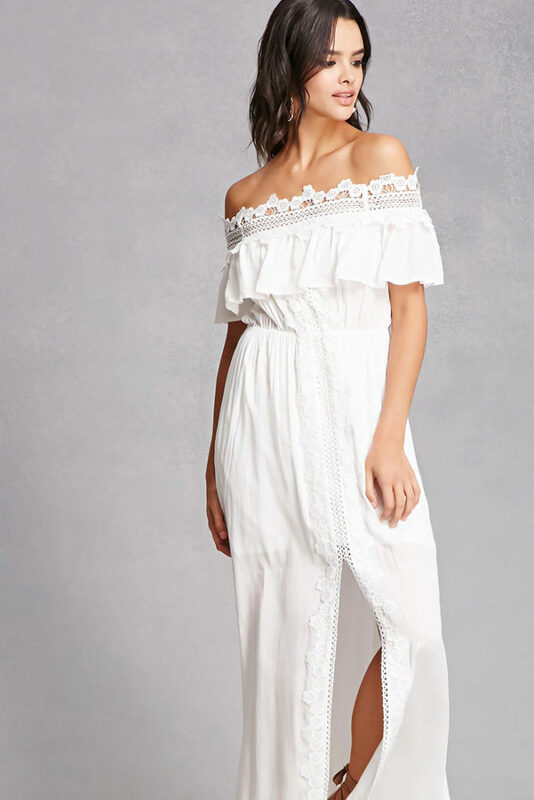 The winner was this cream dress from Forever 21. I loved the textures and feminine details. 4. Throw it in a pile! Kidding, kind of. But, put it all together. Does it look pleasing to the eye? Does anyone match too much? I prefer to have every stand apart, but look cohesive together. Now is the time to change anything that you don’t love. I know that family photography is an investment. Invest the time in choosing the right pieces for everyone so that you can love your images for years to come! SHOES: Everything that is worn or used in a photo shoot affects the look and feel of each photo. This includes shoes. Don’t let shoes and footwear be an overlooked part of your outfit planning. A pair of shoes that doesn’t fit in with the rest of a photo can detract from the picture. KIDS CLOTHING: Adults can be comfortable in just about anything for the length of a photo shoot. However, choosing perfect children’s clothing is of the utmost importance for a good photo shoot. Kids can be made itchy or uncomfortable by the smallest inconvenience—a tag in the back of a shirt or a fabric that rubs against the skin wrong. Also, please make sure you buy clothing that fits correctly. If you are constantly tugging clothing, it is hard to focus on having fun and connecting during the session. 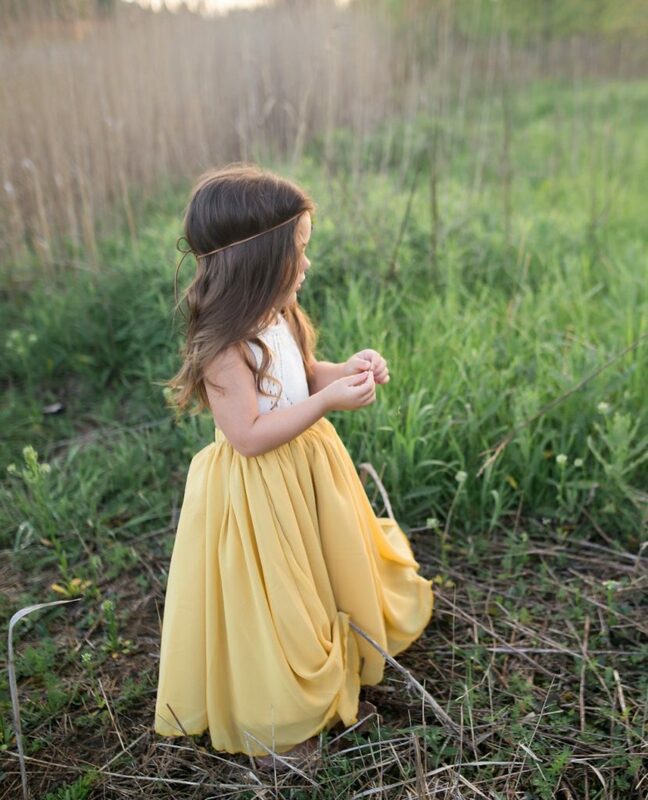 Choose free-flowing clothing for kids will allow them to move easier and stay comfortable throughout the photo shoot. For outdoor photos, consider free-flowing clothing that will move with the child and add movement and life to a photo. 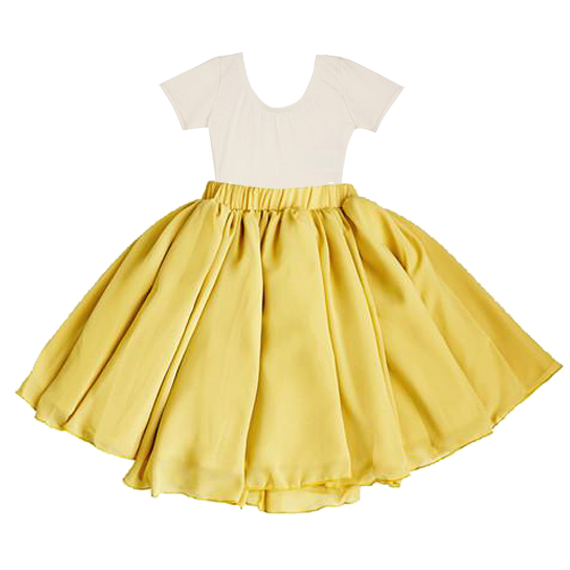 A dress that twirls not only enchants a little girl, it make a photo exciting and engaging.